Erstwhile known as Orissa, Odisha is an ancient place that is filled with wonderful age-old temples, caves, waterfalls, wildlife sanctuaries, serene beaches and enchanting natural escapes. 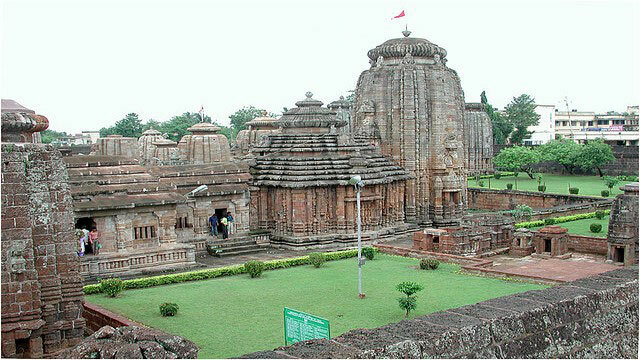 In total, Bhubaneswar, Puri and Konark together make an opportune and appropriate triangle for tourists to Odisha. On this page, we have listed many of Odisha holiday packages for you to choose from. In fact, booking an Odisha vacation from goaroundtours.com is a good idea. So, don't wait anymore and select any of the Odisha tour package for a memorable holiday! This 2 nights' tour package offers a memorable journey in the Land of Jagannath Temple, Puri. Enjoy the glimpses of cultural heritage of Puri city and visit various tourist attractions in and around the city. Explore the two most charming cities of Orissa (now Odisha), i.e., Bhubaneswar and Puri and discover their beautiful cultural heritage. Also, enjoy luxurious stay in 4 star hotels in both cities. goaroundtours.com presents 3 nights' luxurious weekend in Orissa, which will cover Puri and Bhubaneswar with stay in world-class hotels enjoying utter comfort and luxury. Get ready to go for a week-long luxurious holiday with this 6 nights' stay in Mayfair Hotels & Resorts at Puri, Gopalpur and Bhubaneswar. You will get to explore the cultural heritage and scenic beauty of Orissa (now Odisha) with this tour.